As today’s tax environment becomes increasingly more complicated, LG&H encourages our clients to take full advantage of the services that we provide including; tax forecasting, planning and representation before federal and state tax authorities. Planning for tax season we can have you account for items that will minimize your AGI with tax deductions like education, self employment and health savings expenses. If you pay medical, real estate tax or mortgage interest these expenses can make the difference between the standard or itemized deduction that help reduce your taxable income. If you are planning a life-changing event, such as an adoption, or life challenges you with a break-in, we can ease your financial worries with the effects this can have on your taxable income. Tax credits include child care, retirement and residential energy expenses that will lower your tax bill. If your withholding covers your tax bill we may not need to assist you in the payment of quarterly estimated tax payments, but we can should the need arise. All of the income, deductions and credits considered in determining your tax will have a different effect on your AMT tax and we can work with you to minimize both taxes. Being self employed is a lot of work let us help with the workload by providing you with some tax benefit options. Is your business run out of your home? Let us advise you on how this can be done in order to minimize taxable income. If you have staff within your home; let us make sure that taxes are being withheld when they need to be. There are a number of things to consider and LG&H wants to confirm that you are looking at everything. Some foreign assets may need to be reported to the IRS, such as a foreign bank account. We can prepare the FBAR and follow up with you each year in order to review filing requirements. If you have been shopping online taxes may not have been collected at the time of your purchase. You need to pay that Use tax. Have you maximized your retirement contributions for the year? You may want to consider another type of retirement savings besides your work 401(k). ROTH IRA or nondeductible Traditional IRA contributions can give you tax free retirement funds. Are you looking to make a donation to your favorite charity? 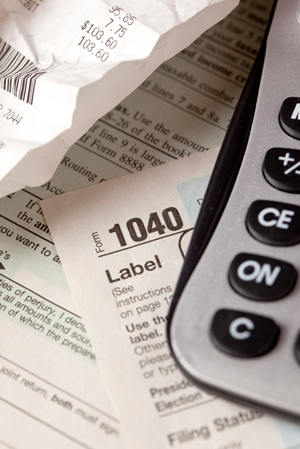 LG&H will inform you of the necessary documentation to ensure tax deductibility.